heute habe ich eiine Winterliche Karte fuer euch. Der Stempel ist von PB und hat mir solo so gut gefallen das daraus ein Non-Cute Kaertchen entstanden ist. Schoen Winterlich in Weiss. This is stunning! 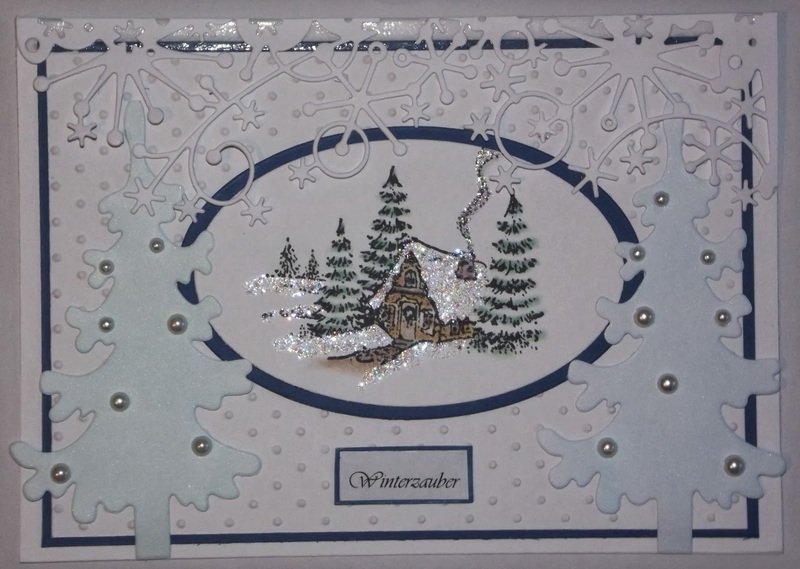 I love the dotty texture, the pretty snowflake frame and the sweet cottage in the woods! Beautifully done! Thanks so much for playing along with 52CCT this week! Na Du traust Dir ja was, Winterkarte im Frühling ..*kicher*, aber super schön ist sie geworden!! I really like your use of the die cuts to frame the cabin image. Thanks for sharing your card with us at 52CCT! Thanks for joining us at 52CCT. Absolutely gorgeous! 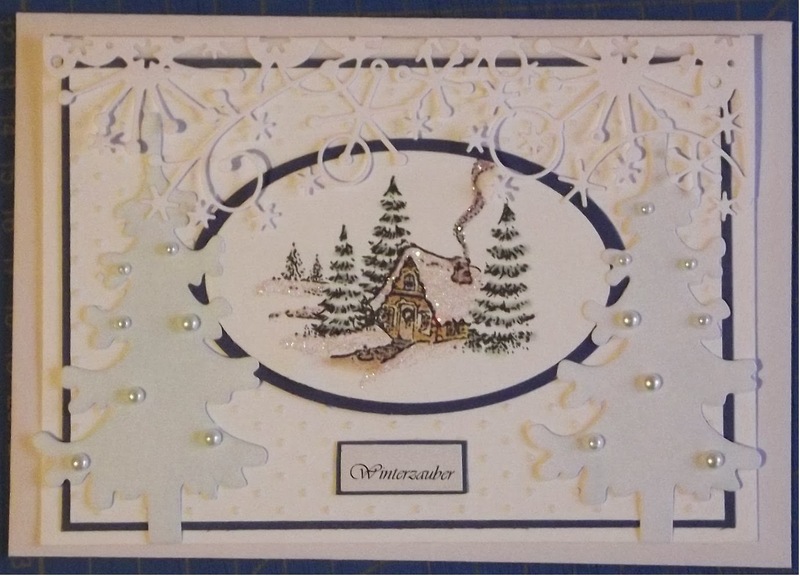 LOVE the diecuts and your sparkly scene. Thanks for joining us this week at 52CCT!